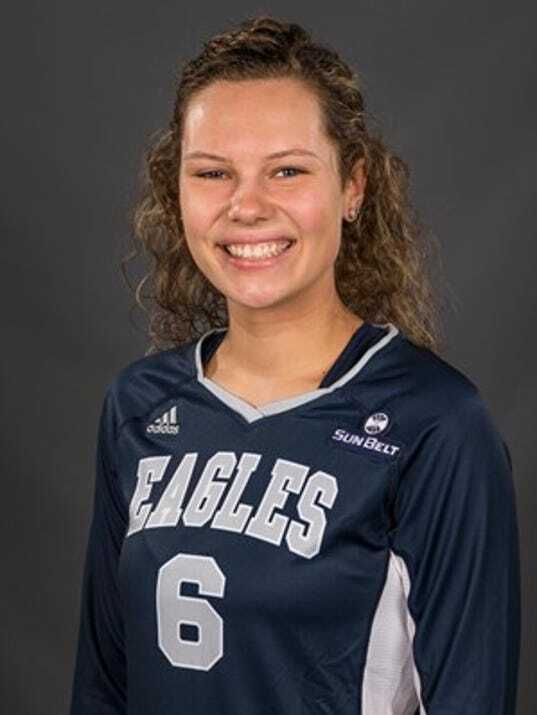 Eastern York High School graduate Lauren Reichard excelled on the volleyball court this season on the NCAA Division I level. Reichard, a 6-foot junior middle hitter for Georgia Southern, was recently named first-team All-Sun Belt. Reichard hit .342 to lead the league and ranked second in the conference in blocks. She averaged 2.53 kills and 1.18 blocks per set for the year. She tallied double-figure kills in 14 matches and recorded five or more blocks in 12 contests.